The majority of the Enyo team behind HP’s webOS HTML5 application framework has been scooped up by Google and will start work there soon. Among those departing are Matt McNulty – together with other team members, it’s being reported that those leaving are responsible for 99 percent of the code. The Verge highlights that it isn’t clear what might become of HP’s open source strategy as a result of departing employees nor is it clear what Google plans to have the team work on. Some possible ideas at the search giant could include working on Android or Chrome. Android is quite successful as-is but it wouldn’t hurt to inject it with some innovation from the Enyo group. The same can be said for Chrome where Enyo could be used to design a Chrome Web Store framework, for example. HP made the decision to halt their webOS business in August 2011 after purchasing the OS from Palm for $1.2 billion in April 2010. The company mulled over what to do with webOS as well as their PC division in general before deciding in December 2011 to keep the OS around as an open-source project. HP further noted a month later that webOS would be fully open-sourced by September of this year. Since the initial report, The Verge has received an official statement from HP which has been included below. 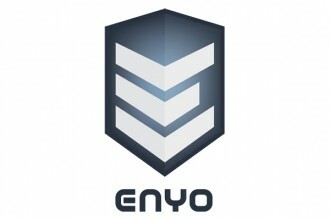 We're pleased with the traction Enyo has gained to date and plan to continue its development along with the open source community. The Open webOS project is on schedule and we remain committed to the roadmap announced in January.